Light fundamentally affects us. Far beyond allowing us to see, humans have evolved to respond to the Earth’s natural lighting cycle; our bodies function very differently at night than during the day so as to be both alert and rested at the most beneficial times. Health and wellbeing are hugely dependant on this circadian rhythm – hormones, blood-pressure, mood and motivation change dramatically based on our internal clocks. Although evolved to respond to the natural lighting cycle, our internal processes are similarly affected by artificial light. While 200 years ago we spent 90% of our waking time outside, now most of us spend 90% indoors with electric lighting, so its effect on our health and wellbeing cannot be underestimated. According to recent studies, workers in windowless environments reported higher physical problems, lower vitality, and poorer sleep quality. Human Centric Lighting systems seek to either replicate the natural daylight cycle, or offer dynamic lighting with the aim of enhancing the environment for the specific needs of the user. In 2002, scientists discovered a third receptor for incidental light in the human eye. In addition to the previously identified rods (for night vision) and cones (for colour vision), they found photosensitive cells known as ganglion cells, which are directly linked to our brains’ suprachiasmatic nuclei (SCN) – attributed to our hormonal system and body clock. Not only do these cells respond to the amount of light, but also the type of light – ganglion cells are especially responsive to light that is rich in blue content, such as the mid-day sky, which can be up to 10,000K. This blue light content suppresses melatonin and encourages dopamine, serotonin, and cortisol production, meaning greater exposure to it during the day can lead to better alertness and productivity at work. At night, melatonin production is crucial to our desire to rest and is necessary for effective sleep. Melatonin suppression by light at night has been linked to sleep problems and depression. On the back of this exciting new research, countless case studies have been developed to test the real effectiveness of Human Centric Lighting systems. According to a study by the University of Mississippi, when students were exposed to lighting in their classrooms with higher light intensity and light temperature levels, their performance increased by 33%3. Students also experienced a 15% improvement in cognitive performance. Other case studies such as the SchoolVision program by Philips gives similar positive findings to student productivity, while their HealWell study concluded improved patient satisfaction and support recovery in patient rooms thanks to a system mimicking the natural lighting cycle. The lighting industry has been quick to respond to this exciting new research and evidence, making available purpose-built software and technology cleverly designed to enhance our experience in different environments. HCL has become the hot topic in the lighting community, with plenty of coverage on the subject in media such as Lux Magazine and a top theme of Frankfurt’s Light + Building. Human Centric Lighting takes light beyond illumination; it is a whole new approach to lighting design, putting our wellbeing, mood and health in indoor environments at the start of any new system. 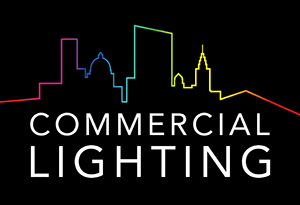 Smart Sovereign is Commercial Lighting’s new service utilizing the latest Internet of Things technology, in partnership with leading specialists in IoT design and software. Alongside other IoT services, Smart Sovereign offers Human Centric Lighting systems for any indoor environment. Sovereign products labelled ‘Smart Sovereign Active’ are designed to be appropriate for HCL applications thanks to their tuneable white and varied colour temperature functionality. Designed for office spaces and educational environments, Smart Sovereign can significantly improve the concentration and productivity of its users thanks to its focus on melanotic-effective lighting. While bright blue-rich light to suppress melatonin is a particular focus, generally used at the beginning of working periods to break down remnants of the users’ sleep cycle and ‘switch on’ their day cycle, periods of warmer light are used at appropriate times throughout the day for a calming environment in moments when rest is necessary. When we are at our most vulnerable, our main source of light tends to be almost exclusively artificial. Extended periods of time in hospitals and institutional care keeps patients away from natural lighting, while our health and recovery is dependant on a stable circadian cycle. With Smart Sovereign, we can mimic the natural daylight cycle in hospitals and care facilities to really help with patient wellbeing and response to treatment. A particular focus here is inducing the natural cycle of melatonin throughout the day and night to allow for effective rest. The recent science and research demonstrates how significant lighting can be in directly affecting our moods and emotions. Smart Sovereign can be used in any environment that requires changeable mood settings, greatly impacting the way we experience a space. From retail to museums and galleries, Smart Sovereign allows for systems that can dramatically enhance a room’s atmosphere through selecting the desired light colour and intensity. Systems can be set to alter automatically over periods of time, and manually changed quickly and easily to suit a new look.